Posted on May 11, 2016 by kcg1974 •	This entry was posted in Nature, Poetry and tagged Beauty, Birds, God, Inspiration, Nature, Photography, Poetry, Spirituality, Wildlife. Bookmark the permalink. I believe I have a similar tree in front of my house.. no birdies, but that beautiful color tree. What an awesome looking tree. Red is grand. Thank you, Professor, for your visit to my ‘Morning Tree.’ It is lovely to see right outside my office window. Wishing you many blessings. 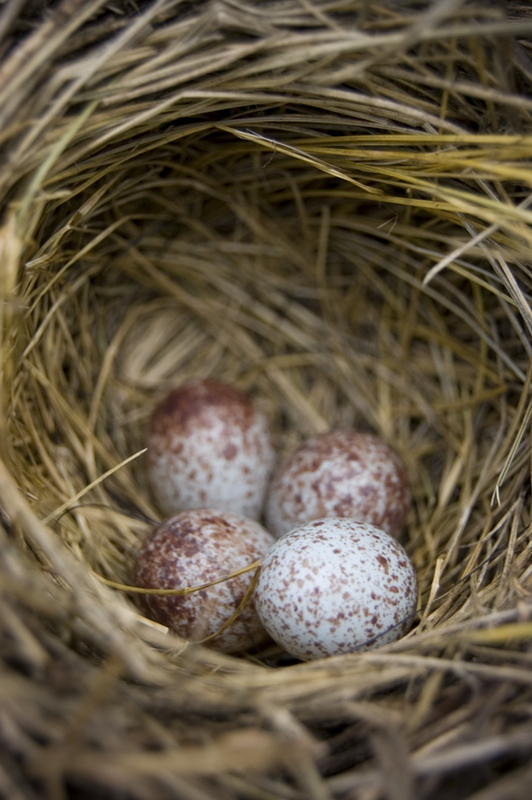 It is beautiful to see small speckled birds eggs nesting, awaiting a new a dawning in life, that is a lovely picture Robin.